FHA has a long standing tradition of making home ownership available to consumers with less than perfect credit. They take a different position from traditional lenders and do not solely rely upon credit scores or require the standard 20% down-payment. One of the reasons FHA can offer less stringent lending criteria is that the loans are backed by the government. FHA is the largest government insurer of mortgages in the world. It has insured over 34 million properties by providing mortgage insurance on single-family, multifamily, manufactured homes and hospital loans made by FHA-approved lenders. According to CMPS Institute, 30% of mortgages today are FHA backed loans. One of the major reasons homebuyers turn to FHA is the minimum 3.5% down payment requirement. The down payment does not have to come from the homebuyer’s personal cash reserves. It may be funded by a gift from a family member, employer, charitable organization or grant. In August 2010, a quarterly report to Congress from the Department of Housing and Urban Development stated 90-day delinquencies, bankruptcies and foreclosures have risen in the past year. During its 3rd quarter, 21.1% FHA mortgages that were underwritten in 2007 and 17.3% that were underwritten in 2008 fell into this category, up from 14.2% and 8.4%, respectively, a year ago. And of the mortgages that were underwritten in 2009, 4.9% fell into this category during the last quarter. The Senate passed a bill that will allow FHA to increase annual insurance premiums on its mortgages which will go into effect by the end of 2010. A proposal to reduce the amount home sellers can contribute to home buyers closing costs was introduced by FHA earlier this year. The proposal has not been finalized as of yet; however, if it goes into effect, sellers contributions will be limited to 3%. 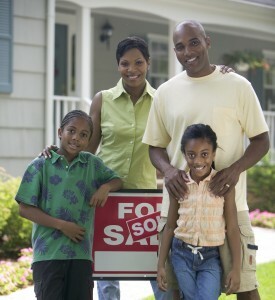 Currently sellers can contribute up to 6% towards the homebuyers closing costs. Currently FHA does not officially state a minimum credit score requirement and leaves the underwriting criteria up to the FHA-approved lender. FHA is now proposing to state a minimum required credit score of 500 to get approved for an FHA mortgage loan. Further, a minimum credit score of 580 will be required to qualify for the 3.5% down payment. Homebuyers with a credit score between the minimum 500 and 580 will be required to make a down payment of at least 10%. Borrowers credit history, debt-to-income ratio and cash reserves will be more heavily considered, something most FHA-approved lenders are already doing. As of April 2010, just 2.4% of FHA mortgages issued by approved lenders went to borrowers with a credit score less than 620, says Herb Blecher, vice president of LPS Applied Analytics, which tracks mortgage performance. That’s down from 37.5% from January 2008, he says. Despite these changes FHA remains the best and most viable alternative to conventional bank loans for potential home buyers with less than perfect credit and minimal cash reserves for a down payment. In comparison, the minimum credit score required for a conventional mortgage loan is 660 to 720 plus a 10% down payment to qualify. Get more information about FHA Loan Limits and Criteria. just wondering…what is the income maximum to recieve an fha loan? There are no income limits for FHA Loans. However, you must prove steady income for at least 3 years and your debt to income ratio will play a role in qualifying. Generally, FHA allows 29% of your income towards housing costs and 41% towards housing expenses and other long-term debt.